CDIC has just released their 2013 Annual Report and here's where we stand. Risk Management Conclusion: Even if CDIC borrows the $19 Billion from the federal government they are still under funded by $624.44 Billion. So if Canada's banking system is the safest in the world, do these numbers represent a sound financial system? STAY TUNED to Central Metals Corp., for a BRAND NEW innovation that eliminates this risk. Chairman Bernanke might be calling for a few more coffee breaks, to kill some time before his 2 PM statement, as this morning’s economic data give little reason to debate the current direction of monetary policy. ADP private sector jobs data showed just 130,000 jobs added this month. That’s the lowest level of job add-ons since the beginning of Q2 2013. The more heavily relied upon data, the government jobs data, has been delayed until November 8th because of the government hiatus. On the inflation front, The U.S. Labor Department reported that the Consumer Price Index rose just .2% in in September with 12 month CPI up just 1.2%. Along with a 6.5% unemployment rate, a 2% inflation target was given as the criteria for any pull-back in QE. The precious complex is pushing higher ahead of the conclusion of the FOMC meeting. Gold closed the previous session at $1345.50 and now trades nearly 1% higher at $1356. The yellow metal found some resistance near the $1360 mark, having reached as high as $1359.90. Silver is up nearly 2.5% having closed the previous session at $22.492 and now trades near the higher end of the day’s range at $23.035. Platinum has moved more than 1% higher as well, now trading at $1478 after closing the previous session at $1461.90. The white metal continues to find support from potential strike action from the AMCU. Have a great day! Frantic US political attempts to avert a federal debt default have pivoted back to the Senate after plans in the House of Representatives collapsed. Notice in 2007, total Gold Eagle sales were only 198,500 oz, but after the banking and housing collapse in 2008, buying more than quadrupled to 865,500 oz. 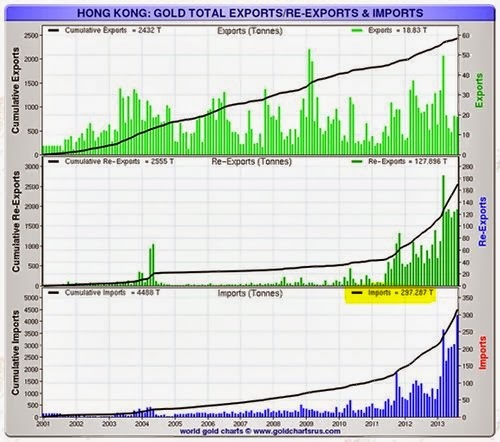 Furthermore, when the broader stock markets continued to tank in 2009, Gold Eagle sales reached 1.4 million oz. The precious complex is under heavy pressure this morning despite a weaker greenback and tension at the world’s #1 platinum producer that just added another layer of complexity. At midnight the U.S. government entered into partial shutdown as the plug was pulled non-essential services due to the congressional stalemate over a continuing resolution to fund the largest employer in the country and the Affordable Care Act. In South Africa, the National Union of Mineworkers (NUM) is heading to court to contest Anglo American Platinum’s planned restructuring that includes eliminating 3,300 jobs. The Association of Mineworkers and Construction Union (AMCU) has been on the picket line since last Friday and will continue the strike action as recent negations have failed to resolve the situation. On the U.S. economic front, data on construction spending and manufacturing are on tap for today as well as September U.S. auto sales figures. Ford sales were up 5.8% last month compared to estimates of 5.0%. Gold closed Monday’s session at $1327 but has since fallen below the $1300 mark and is down nearly 2.5% to $1295. Platinum is down more than 2% to $1387 after closing the previous session at $1408. Have a great day!